Sycamore – Home – Comprehensive. Fee-Only. No Minimums. Meaningful Conversations. Financial planning is the process of meeting your life goals through the proper management of finances. This begins with meaningful conversations about your finances. Sycamore is here to help you begin this conversation. Manage Trade Offs. Financial planning allows you to understand the trade-offs between each financial decision you make. Managing these trade-offs helps you adapt to life’s changes. Sycamore has the tools to help you sort out these trade-offs. Establish Direction. Financial planning can also help you express your values which can lead to a happier, more fulfilled life. Establishing direction for your financial future can be empowering and exciting! Sycamore can help you chart the course between your finances and your values. 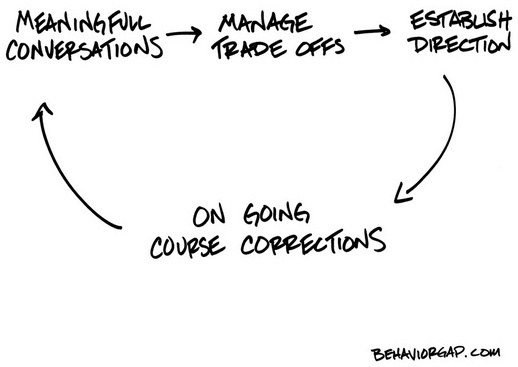 On Going Course Corrections. Being in control of your financial life creates options. Sycamore’s services are designed to keep you on course toward your financial goals.